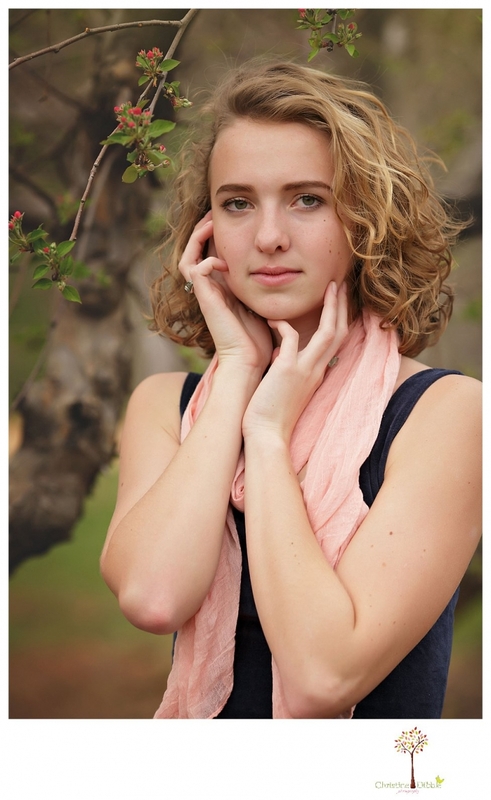 Hailey is a Sonora High senior in the Class of 2016. Years ago, she used to go to the same small school as my boys. In fact, I was a chaperone for her group during an overnight GATE field trip at Foothill Horizons Outdoor School. Even then, Hailey was on the quiet side but still adventurous. She is still that way, as she proved during her senior portrait session at Indigeny Reserve. We met on the day before a big week of storms was due to arrive, so the golden sunlight I love was not out in full force. But the recent rains have made everything green, and one tree was just sporting a couple of pink blossoms. Hailey brought some of her favorite books as props. Then at the end of the session, that adventurous side came out as she worked to get herself up on a high branch of a big tree. It was just out of reach, but she figured out how to get there. That just proves that nothing will be out of reach to Hailey in her future! 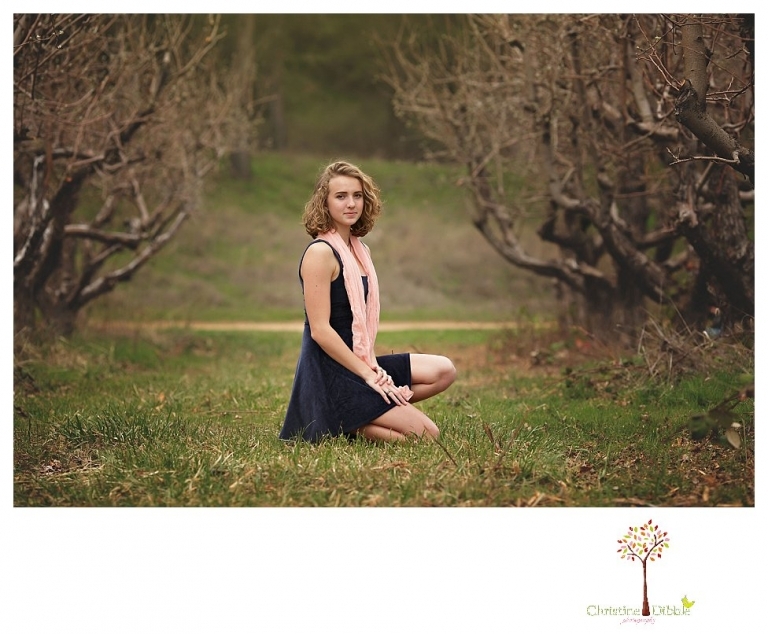 sarah sweetman - Christine – you did an amazing job of Hailey’s senior portrait photography session! I love that location in Sonora – how the little blossom buds are just peeking out of their wintery slumber. She looks like a wonderful young lady and I wish her all the best as she begins this new chapter of her life. Corey - What a beautiful senior! The way you incorporated her love of books and reading into her senior portrait session is awesome and Indigeny Reserve is such a beautiful location! Maria Martinez - What a lovely senior session at Indigeny Reserve! Hailey looks so peaceful and natural and it is so fitting! I love that your incorporated books into her session! 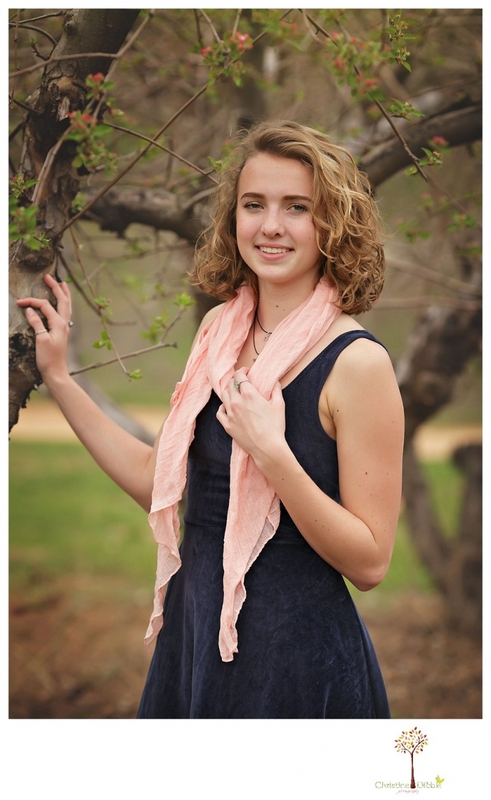 Allison Anderson - I have to say that this is not only a stunning senior portrait session, it is really cute. She is cute with her interest in reading and her curly hair. Sonora is a pretty place int he Spring! Samantha - What a beautiful Sonora High School Senior Portrait Session!! I love the photos of this beautiful senior in her element as she’s reading novels and writing like a little college co-ed. Very cute! Melanie Painter - What a fantastic Sonora senior photography session! I love how you were able to capture Hailey’s passions in her senior portraits. I adore the book series! I Bet her parents are elated with these photographs!